The Nicholas Capehart Cheer Memorial Scholarship Fund was established in August, 2015, after the life of Nicholas “Nick” Seth Capehart was taken in an unfortunate accident just three miles from his home. He was on his way to Covenant Church in McKinney and to Cheer Athletics in Plano, Texas, for cheer practice, when this tragic accident occurred. 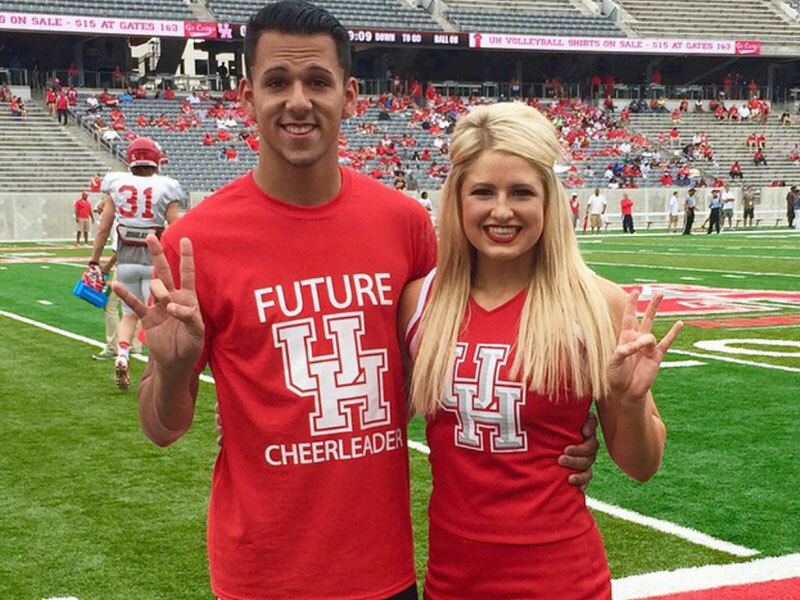 This scholarship fund was established to keep his legacy living and his love for cheer and tumbling alive in others who love the sport as much as he did. To receive the Nicholas Capehart Cheer Memorial Scholarship Fund, you are required to be attending college the fall semester after high school graduation and be a member of the college cheer team of the college you will be attending. The 2019 DI4N 5K is right around the corner! Thanks to this year's Sponsors! 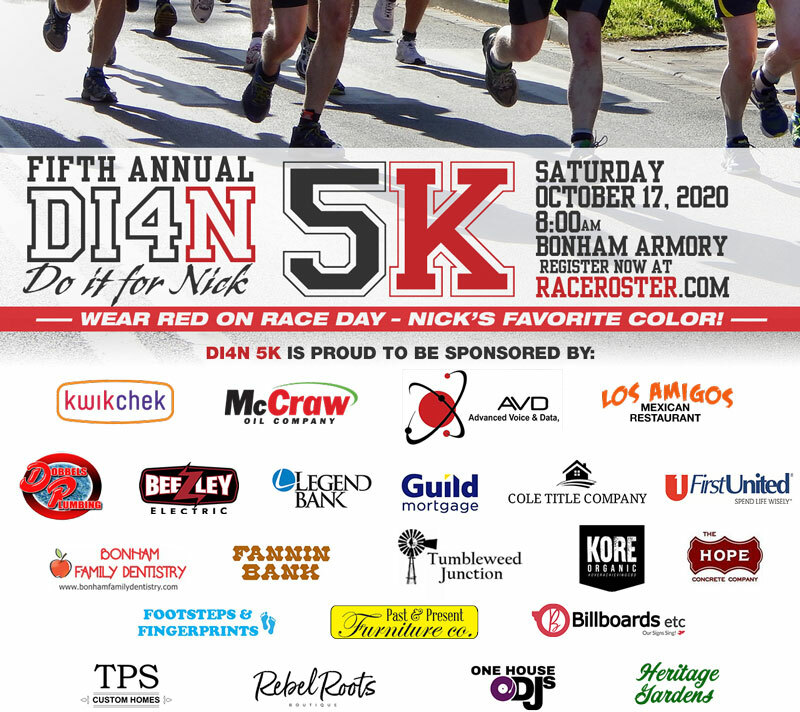 Each 5K and Color Fun Run participant will receive a #DI4N (Do It For Nick) Race Shirt and Goodie Bag. Silent auction will be held on-site the morning of the races. AMAZING items have been donated! Even if you can't participate in one of our runs this year, you will want to come out for the silent auction! NEW THIS YEAR: VIRTUAL RUN The Virtual Run is for those who can't attend on race day. Support DI4N by walking/running on your own time. Cost is $30 (vs $25) to help with the shipping cost of your t-shirt. Thank You for supporting this great event so that Nick's legacy can continue to live in others who love the sport of cheer as much as he did! To be a PARTICIPANT in the DI4N 5K..